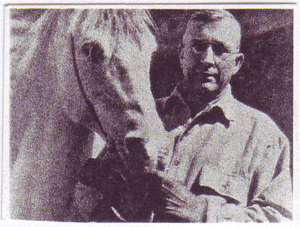 In Jimmie Dean's words: "The most significant thing Dan C. Gainey did for the Arabian breed was to leave behind a ranch full of Gainey horses. He established quality and refinement as the Gainey trademark. He fixed a type." 1939 - the banquet capping the annual sales meeting for Josten's in Owatonna, Minnesota. 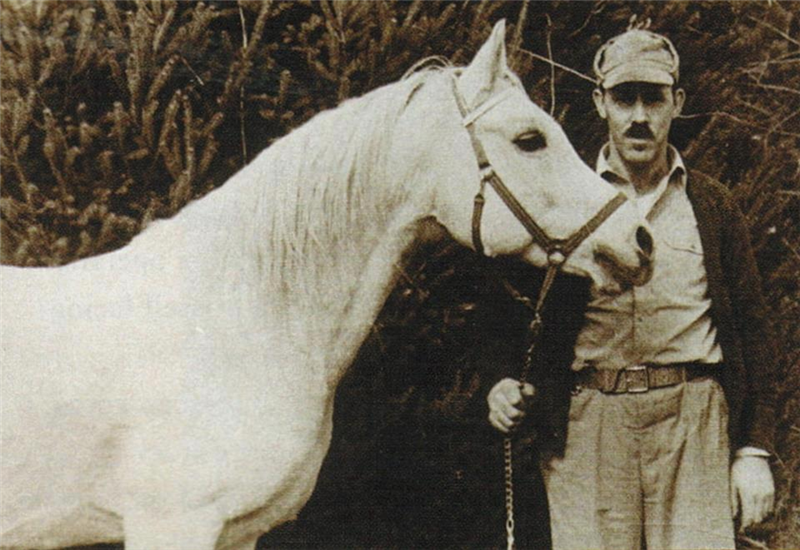 Daniel C. Gainey was presented a beautiful bay yearling Arabian colt by his salesmen and thus began an all-consuming affair between D.C. Gainey and the Arabian horse that continued for four decades. A man of great energy and enthusiasm, Gainey did not just sit back and admire his gift. Instead he set out to learn as much about the breed as possible. 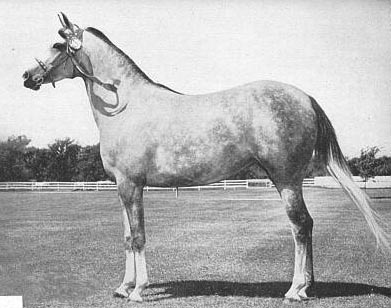 Inevitably this brought him to fellow breeders such as A.W. 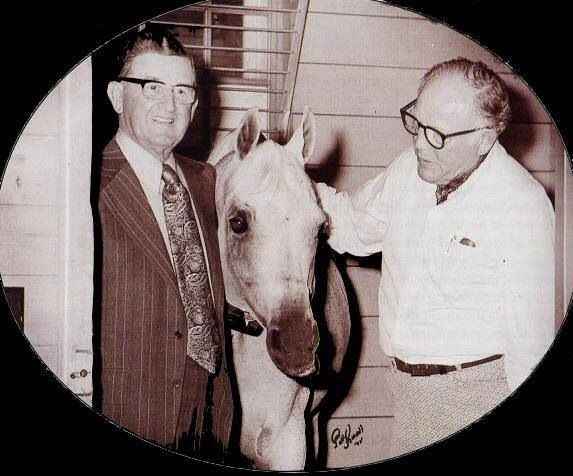 Harris, Roger Selby and Jimmie Dean. 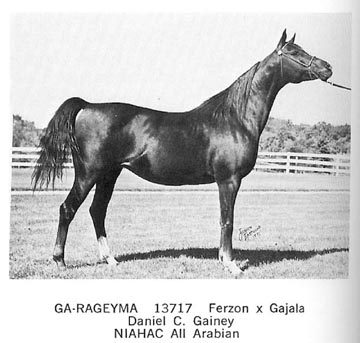 Gainey purchased Rageyma, a daughter of desert-bred *Mirage, who was in foal to *Raffles. 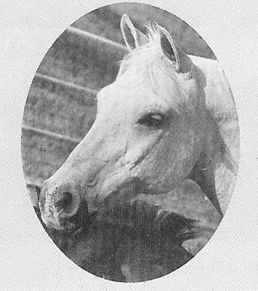 This beautiful, typey mare had already produced one foal from this cross, the colt Geym, who was selected to remain at stud at Selby. 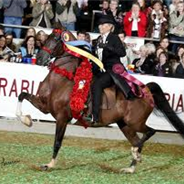 These bloodlines added elegance and beauty to the utilitarian look of the Harris Arabians and Gainey quickly decided it was that look he wished to capture in his own breeding program. 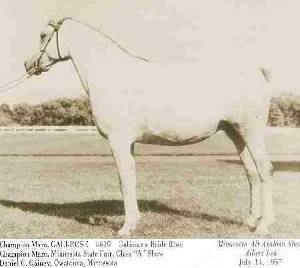 The *Raffles foal Rageyma was carrying when Gainey bought her was Gajala, the mare that would become the cornerstone of Gainey Arabians. 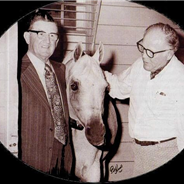 Gainey drew upon all the great breeders of the day for his horses and breeding: A.W. Harris, Henry Babson, J.M. Dickinson, Roger Selby, L.W. Van Vleet. 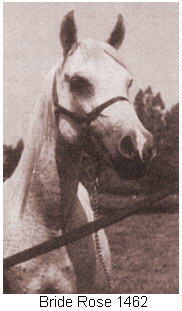 Assembling his band of Arabians piece by piece, soon he owned *Raseyn daughters Balena and Ralouma. 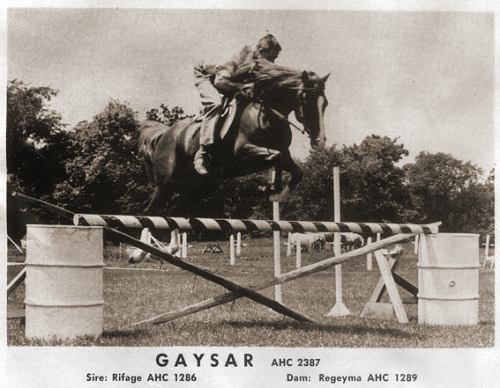 Ralouma was in foal to *Mirage son, Rifage, and produced Gaysar, the first purebred Arabian foal registered in Minnesota. 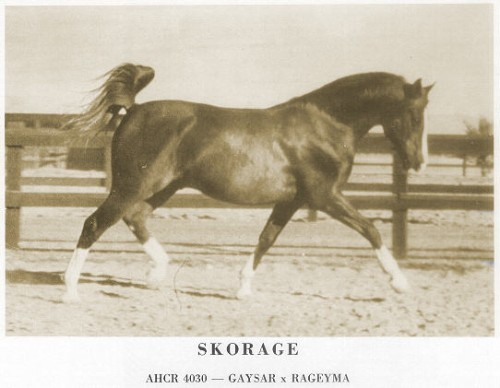 Later, Rageyma was to produce two champion sons by Gaysar: Skorage, who became chief herd sire for Ed Tweed's Brusally Ranch, and Galimar, a champion himself and used in the Gainey program. 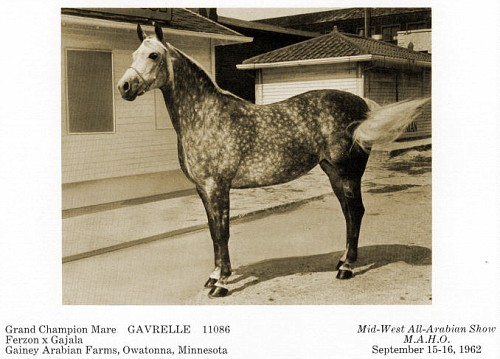 In 1948 Bride Rose was purchased from Mrs. Cox Morrill and with Gajala, these two mares were to form the strongest mare lines of the Gainey program, still figuring predominantly in the Gainey program today. 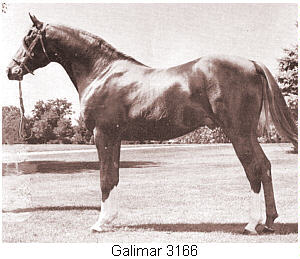 As soon as he came of age, Galimar was introduced into the breeding program with outstanding results. 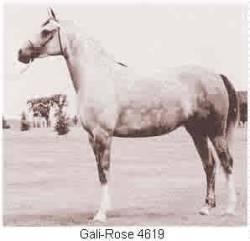 Bred to Bride Rose, he sired the filly Gali-Rose, who became an exceptionally beautiful mare as well as a great producer. 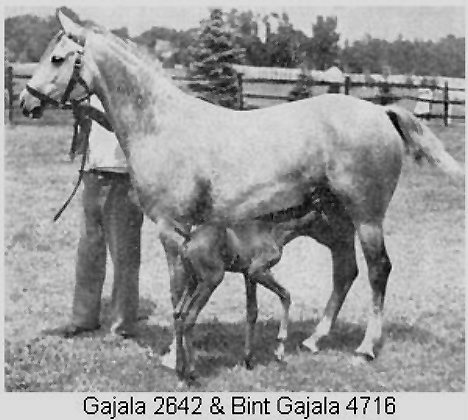 Gajala was bred to *Fadl and then to *Fadl son, Fay-el-Din, when she produced the filly Gadina (who later produced the Ferzon son, Ferdine). 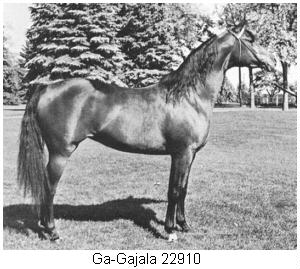 Gajala was also bred to Phantom and Gaysar. She was a consistently good producer, but not up to what Gainey felt was her true potential. 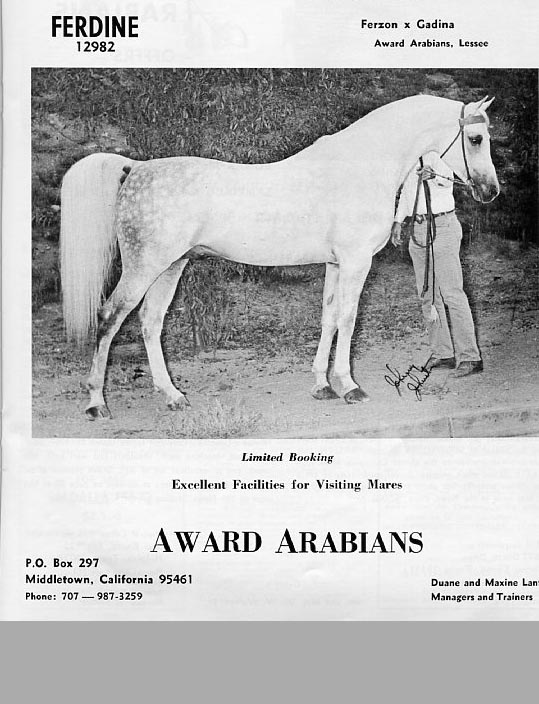 In his opinion she was the epitome of a classic Arabian: "She had the best face, the big eyes, the short head, the most expressive ears, the well-balanced neck, the deep body, the presence that was more beautiful than dreams. In addition to beauty and type she had the greatest muscling over the loins you have ever seen. 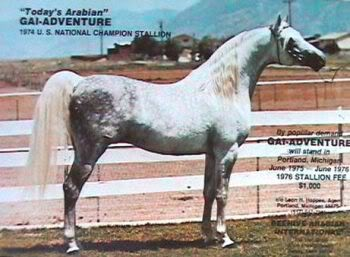 She was kind-hearted, sweet, yet loaded with fire.."
Armed with his vision of the ideal Arabian, Gainey set off to find the ingredients that would produce it. 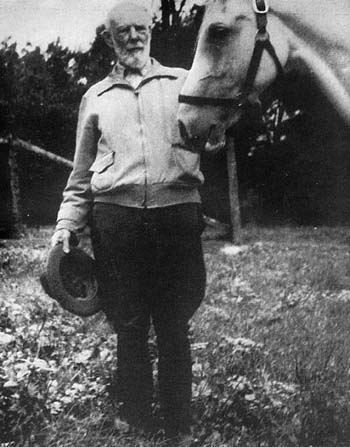 He continually sought out the one stallion to fully complement the fine qualities of his carefully acquired mares. 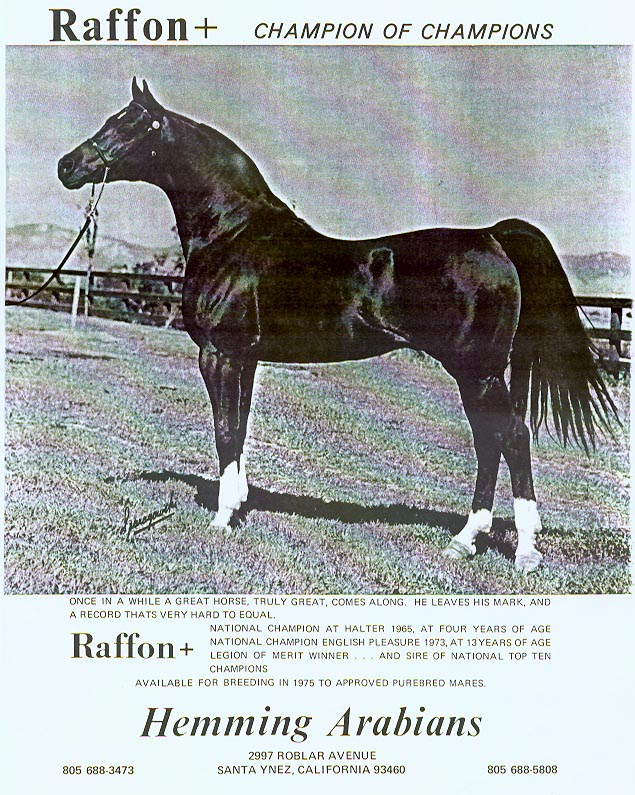 That stallion was Ferzon. 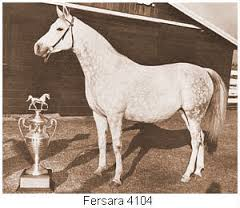 Gainey found his "dream" sire at the side of Frank McCoy's mare Fersara. 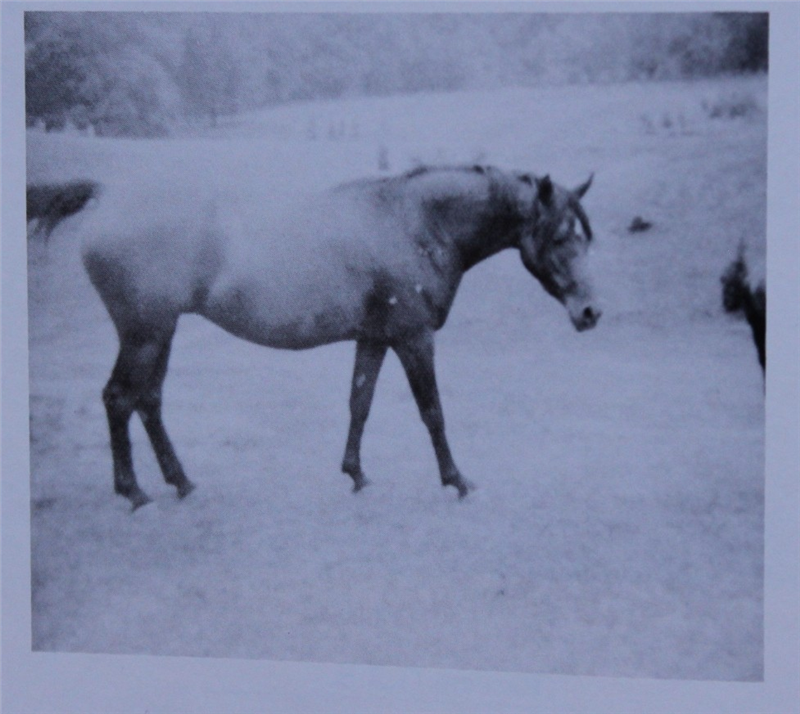 Her first foal was by Ferneyn and a fine boned, classically elegant specimen of the Arabian horse. Gainey new he had to have him, though it took him a year to convince McCoy to part with him. 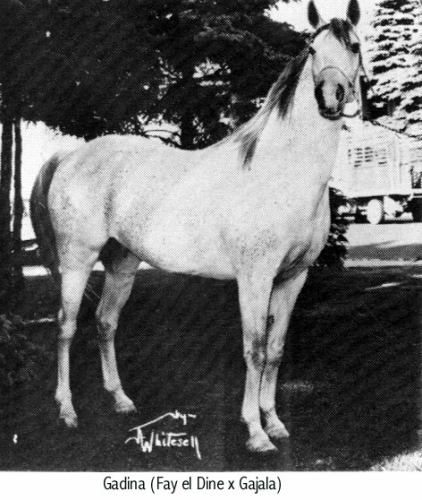 In November of 1953, Gainey paid a then unheard of price for a yearling colt, $10,000, and Ferzon became linked to the Gainey program forever, siring some of the most classically beautiful Arabian horses in the world and helping to set a certain look that would eventually establish the Gainey Arabian as a recognized sub-strain. 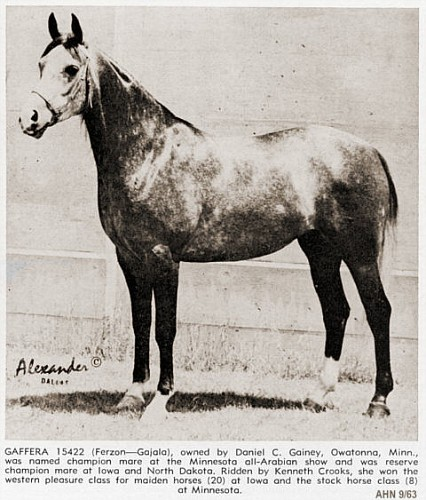 For the next three decades horses such as Gazon, Galatina, Raffon, Gavrelle, Gai Adventure, Gaizon, Ga-Rageyma, Gafferra, Ga-Gajala, Shar Mar Ferzay and Gai Champion became famous in their own right and helped perpetuate the Gainey "look". Gainey did not just sit back and admire his gift. 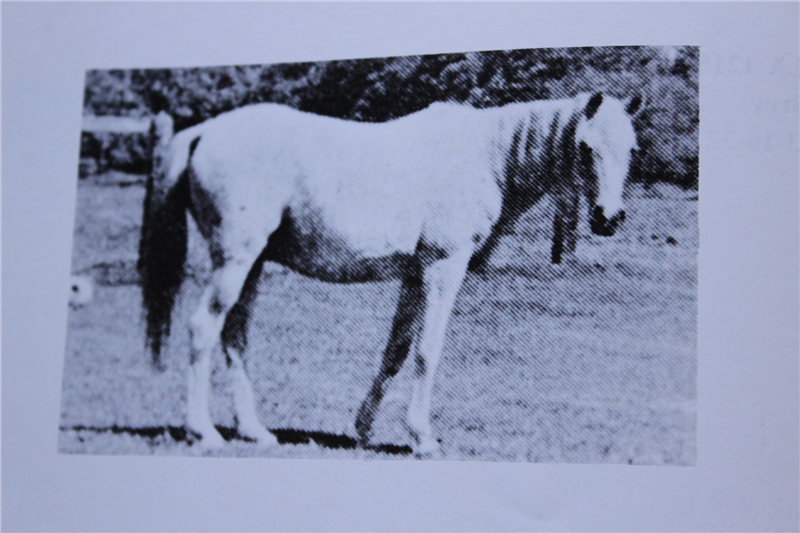 Instead he set out to learn as much about the breed as possible. 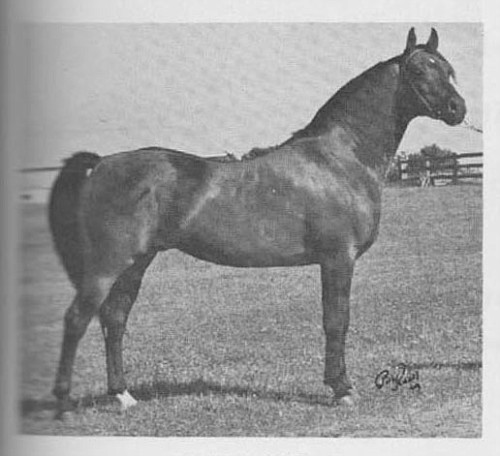 Inevitably this brought him to fellow breeders such as A.W. Harris, Jimmie Dean and Roger Selby. 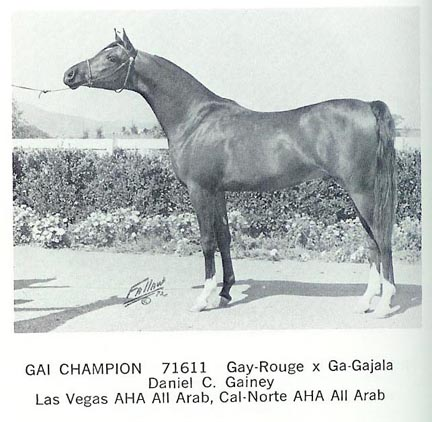 Rageyma was to produce two champion sons by Gaysar: Skorage, who became chief herd sire for Ed Tweed's Brusally Ranch, and Galimar, a champion himself and used in the Gainey program. *Raseyn daughters Balena and Ralouma. 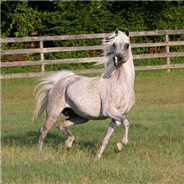 Ralouma was in foal to *Mirage son, Rifage, and produced Gaysar, the first purebred Arabian foal registered in Minnesota. 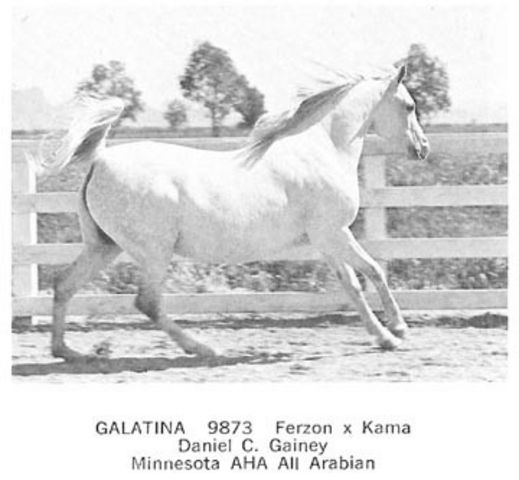 Gajala was bred to *Fadl and then to *Fadl son, Fay-el-Din, when she produced the filly Gadina (who later produced the Ferzon son, Ferdine). 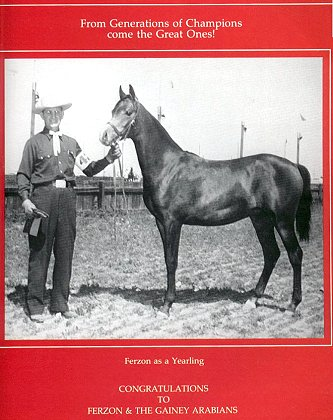 In November of 1953, Gainey paid a then unheard of price for a yearling colt, $10,000, and Ferzon became linked to the Gainey program forever. 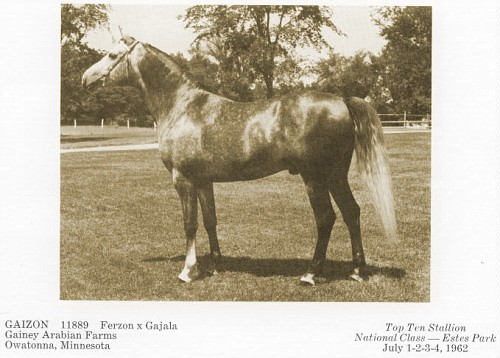 Gainey found his "dream" sire at the side of Frank McCoy's mare Fersara. April 25, 2015 @ 9:32 AM	Armed with his vision of the ideal Arabian, Gainey set off to find the ingredients that would produce it. 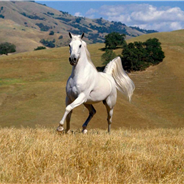 He continually sought out the one stallion to fully complement the fine qualities of his carefully acquired mares. 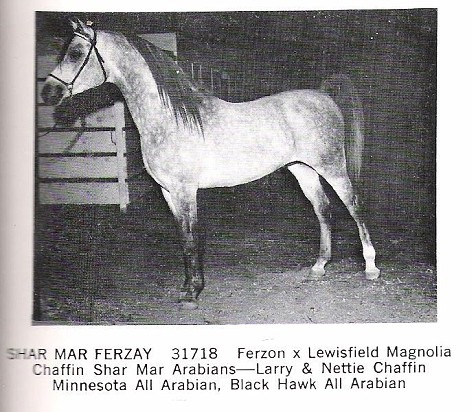 That stallion was Ferzon.